With the Bali Sweet Love collection, it feels like Valentine's Day has come early! 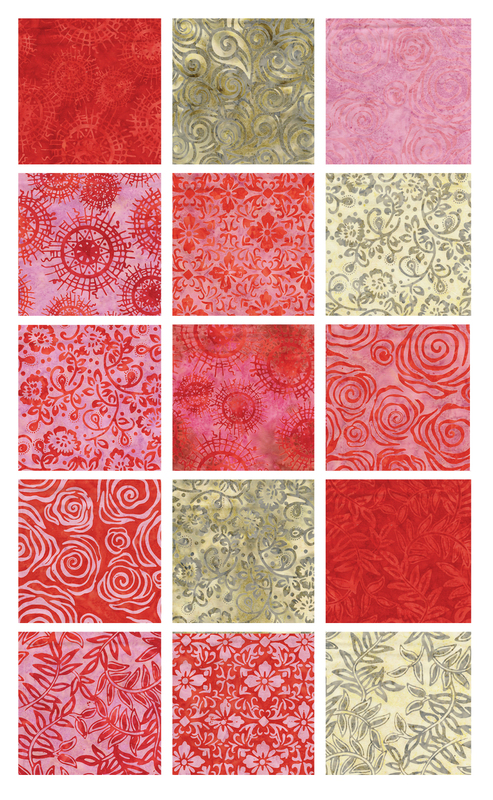 The collection mixes bold reds with soft pinks, and adds in a few contrasting neutral prints. You'll fall in love all over again! Click here to see the entire Bali Sweet Love collection. Want to see more batiks? Click here to see the Bali Roses & Lilacs collection, featured yesterday. A beautiful line of fabric.